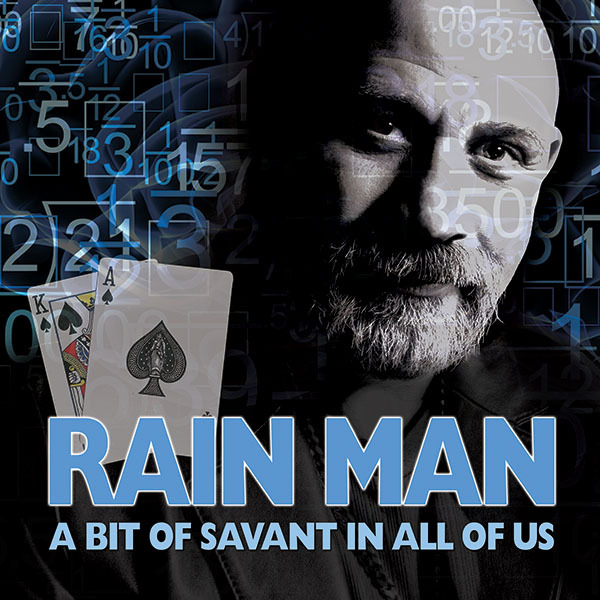 RAIN MAN — A BIT OF SAVANT IN ALL OF US | Love Productions Inc. Starring Sal “The Hit Man” Piacente, Rainman, “A BIT OF SAVANT in ALL OF US” is a show about exactly that. Combining physical tricks with extreme memory skill, Sal has learned to understand the minds and reach of the tricks of the world’s best cheaters. Sal has taught his own brain to memorize a sequence in a deck of cards instantly. Give him a date from the 19th century, and he will be able to immediately tell you what day of the week it was. Adding to the entertainment, Piacente speaks in a Brooklyn accent that would not be out of place in a mob movie!